I lead a team to supplement Bank of America’s internal design organization with their mobile application refresh. We worked alongside their team and business leaders on more than 300 pages of wireframes. The application appears simple on the surface for every customer, it needs to accommodate the large amount of account products, accessibility and regulatory requirements. A simple but helpful tool that our team added. 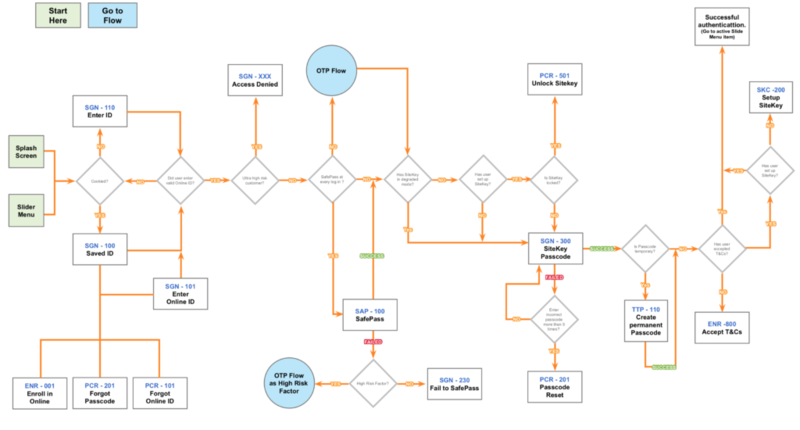 really helped all stakeholder see the interconnected flow without being burdened by layout and content. Being a highly regulated company meant that documentation was critical. The internal team’s wireframes needed to be usable by more than just the designers. All text needed to be reviewed by multiple parties and was owned and edited in wireframe by the copywriter.